A global study on global service performance. USE.Report Global 2015 is based on the consumer journey and the perception of innovation. It aims to construct a balanced vision of how service organizations perform in six different countries, including: Brazil, EUA, UK, Germany, Sweden and Japan. The Cultural SLA is fundamental to the way data is presented in the USE.Report Global. SLAs (service level agreements) are contracts that symbolize the minimum acceptable level of service between two parties. Americans tend to use cost-benefit analyses, Japanese are highly critical, Germans tend to value domestic brands, and Brazilians are much easier to please. These and other cultural insights are revealed in this study which provides for the first time ever, a comparison of services that is sensitive to the culture-based diversity affecting consumer expectations around the world. It is a common practice to compare service operations, like the experience at the Brazilian bookstore Saraiva with Barnes & Noble in the US. If you do that, the two experiences would seem incredibly different—but the reality is that the American bookstore chain’s service is calibrated to cater to expectations, yearnings, and scrutiny of local consumers. Services are co-created. When customers approach an airline check-in desk, they bring-in to the service performance their desires, yearnings, expectations, scrutiny, and cultural traits such as sense of humor and tolerance. The collision between the process that they are about to interact with and the aforementioned factors, defines the consumer experience as the consumer perceives it. For this reason, there is no such thing as designing a service without considering cultural influences. To fully take advantage of the USE.Report Global, make sure to take this into consideration at all times. As a result, the insight we glean from the analyses is never ‘‘Brazil is better than Japan in banking’’, but instead that in banking, Brazilian consumer expectations are currently better addressed than Japanese consumer expectations are. And it matches these consumer experience building blocks with the consumer’s perception with respect to a service’s Originality and Human Connection. 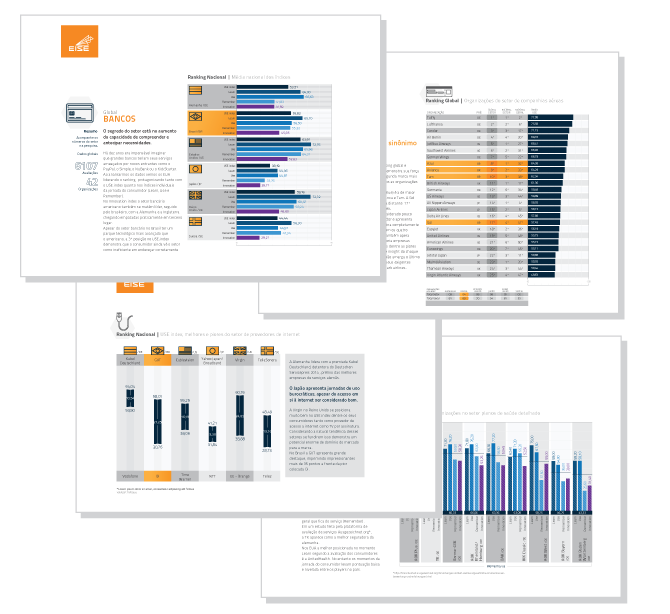 The later forms the Innovation index also presented in this report. The EISE Matrix was created to position service organizations in accordance with the Innovation Index. 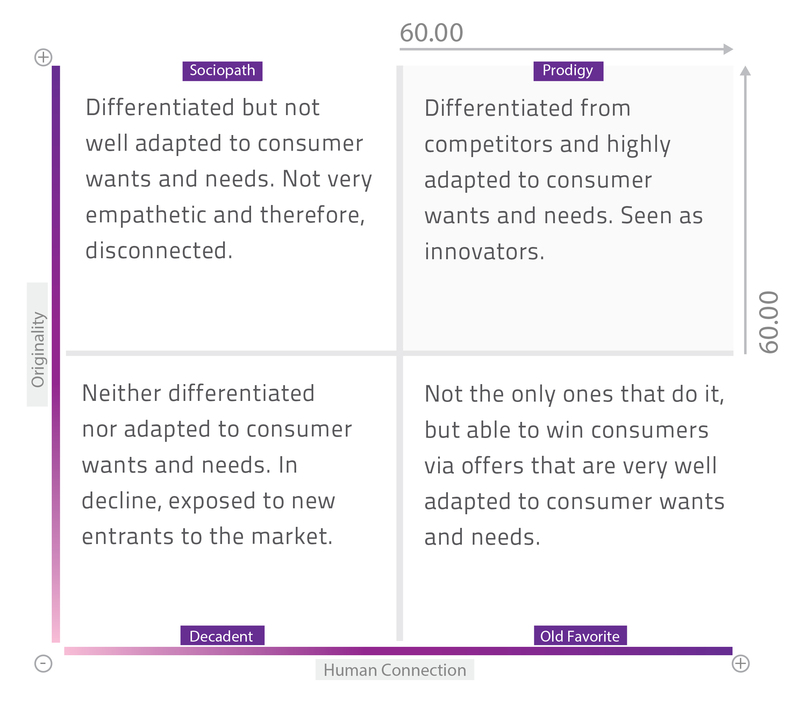 To reach the Prodigy quadrant, the organization must score above 60.00 in Originality and Human Connection. The way the service is provided conveys a sense of originality. In other words, does it distinguish itself from other models or providers that you know of? Without a doubt, the quest for a unique value proposition, to be different from the competition, is on organizations’ strategic agendas. You can’t position yourself as an innovator without proposing new things. The question of Originality has a fundamental role in positioning a service offer. The service is provided in a way that is relevant and well adapted to my needs. Originality on its own isn’t a synonym for innovation. Simply being different from your competitors is a long way away from being relevant to consumers. Many different offers rot on the shelves without being adopted. When talking about becoming part of the consumer’s life, organizations need to learn ways to connect with people and anticipate their wants and needs. Is it easy to learn about the service? Including learn how to find it, learn how to access it, understand how to use it, and if applicable, find out how to cancel it? Learn measures the ease with which the consumer learns about the service. It’s about the moment of first contact with the offer, discovering the service, learning how to use it, and gaining the consumer’s confidence, which ultimately affects how the consumer perceives the organization. Consistency and fluidity are definitely perceived on the service being provided. Services, contrary to popular belief, are not about the wow factor. In hospital services, people aren’t looking for a jaw dropping experience. Two attributes stand out time and again when we observe organizations that deliver excellent services: consistency and fluidity. These attributes form the base. The rest come after we have found a balance between these first two. The memory left after having experienced the service is better represented by which of the alternatives bellow? Terrible, bad, okay, good, impressive. After experiencing a service people form opinions about how the experience was. The enduring memory after the experience greatly influences the consumer’s tendency to recommend the brand to a friend or to want to interact with the organization again. * * The idea of the Learn, Use, and Remember moments as consumer experience building blocks was proposed by Tenny Pinheiro in his book The Service Startup :: Design Thinking Gets Lean. In today’s economy, services are the way that we connect with our lives. 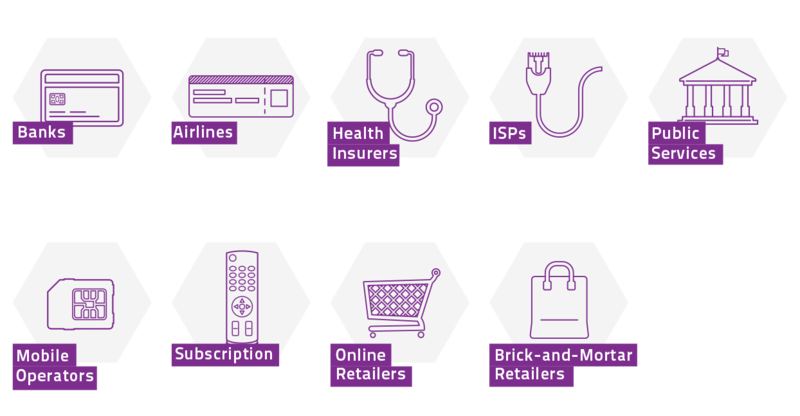 For this edition of the USE.Report Global we studied ten* service based industries that profoundly impact daily life. Of these, nine met our criteria to be included in the USE.Report Global 2015. Its a service economy, so we investigated countries that serve. We live in a service-based economy. 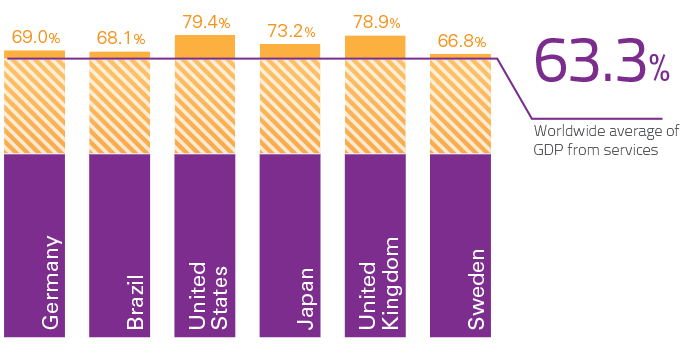 The majority of the employed population works in services and the global average for services as a share of GDP is 63.3%. At Hivelab (http://hivelab.co), we take it even further: for us, everything is a service. So then what about the chair you are sitting in or the device you are using to read this? What are they good for? The answer carries services. And that is what allows these objects to be present in our lives. What we usually call goods are actually mere shells, avatars for services performences. 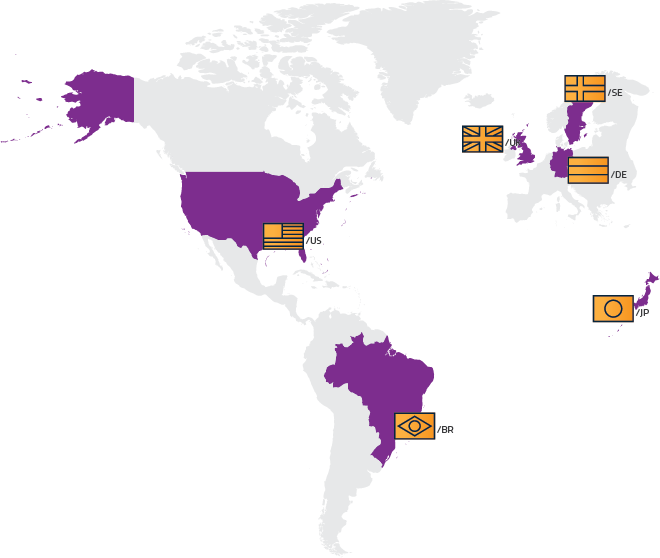 The countries included in the Use.Report Global 2015 were chosen for having service sectors that contribute to GDP in proportions exceeding the global average. The USE.Global Report was created by a global and multi-disciplinary team involving members of our community, specialists, and partners spread across six countries and four continents. We would like to thank all who worked across different time zones to make the idea of this unprecedented report a reality. USE.Report Global 2015 is an independent initiative of Tenny Pinheiro. For more information on Tenny's work check his portfolio and contacts at http://tenny.co.